Chickenpox parties were once a popular way for parents to expose their children to the virus so they would get sick, recover and build up immunity to the disease. Kentucky Gov. Matt Bevin stirred up controversy this week when he told a radio show host that he exposed all nine of his children to a neighbor who was sick with the virus. Most doctors believe that deliberately infecting a child with the full-blown virus is a bad idea. While chickenpox is mild for most children, it can be a dangerous virus for others — and there’s no way to know which child will have a serious case, experts say. NBC News was unable to reach Gov. Bevin for additional remarks on his statement. 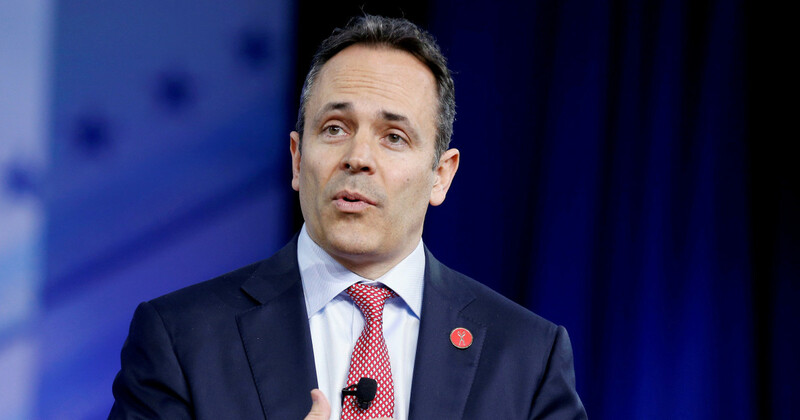 With his comment, Bevin overlooks the important way vaccination contributes to herd immunity — which occurs when enough people are vaccinated against an infectious disease to protect others in the community who are not vaccinated, either because they have serious immune illnesses or are too young to be vaccinated. “Those who are directly exposed can infect others up to three weeks afterwards. You’re potentially exposing those who haven’t been vaccinated and high risk patients like those who are immunocompromised, such as cancer patients or people on steroids, and women who are pregnant,” said Dr. Bessey Geevarghese, a pediatric infectious disease expert at Lurie Children’s at Northwestern Medicine Central DuPage Hospital. “Getting the vaccine is just a better way than exposing everyone to chickenpox,” she added. The U.S. Centers for Disease Control and Prevention does not endorse any natural immunity method. “When your child gets the chickenpox shots, he or she is getting immunity from chickenpox without the risk of serious complications of the disease,” a CDC spokesman said. According to the CDC, before the introduction of the varicella zoster vaccine in 1995, about 4 million people got chickenpox each year in the United States. Over 10,500 of those were hospitalized, and about 100 to 150 died each year. The chickenpox vaccine uses a weakened version of the virus to build up the person’s immunity to the actual virus, resulting in a milder and shorter course of the disease. Without the vaccine, symptoms usually last five to seven days. Most children experience symptoms such as an itchy rash, fever, headache and fatigue, but more serious, albeit rare problems like skin infections, dehydration, pneumonia and a dangerous swelling of the brain called encephalitis, can occur. The CDC recommends two doses of the chickenpox vaccine, as this amount is about 90 percent effective in protecting the person against the disease. Doctors usually administer the first dose between the ages of 12 and 15 months and the second dose between the ages of 4 and 6. For unvaccinated children over the age of 13 who have never had the chickenpox, it is recommended that they receive two doses of the vaccine at least 28 days apart. Shingles is caused by the varicella-zoster virus — the same virus that causes chickenpox, so getting the chickenpox vaccine may also help prevent shingles, the CDC says. Books, border and Beto’s beard. Here’s the weekly roundup on potential 2020 field. January 11, 2019 Comments Off on Books, border and Beto’s beard. Here’s the weekly roundup on potential 2020 field.